OK, it’s my home, so I’m more than a little biased! oquete is a small town on the Caldera River, tucked into the green mountain highlands of Panama, in western-most Chiriqui Province about 60 km from the border with Costa Rica. Chiriquí Province, about 60 km. from the border with Costa Rica. Because of its altitude, some 1,200 metres above sea level, its climate is refreshingly cooler than that of the lowlands. Its scenic location, temperature, and natural environment make it extremely popular with Panamanians, and with tourists from all over the world. In Spanish, the word Boquete means ‘gap or opening’ or ‘hole’ (as in the mountains!). [If you are from Brazil or speak Brazilian Portuguese I have to warn you, lest you start searching Google for images of our town without the “safe” filter on … in Brazilian Portuguese it means something totally different!] It was through this gap that curious gold seekers trekked, looking for a cheaper and quicker way to the Pacific. Farmers began settling the region near the end of the 19th Century. By the early 20th century, several villages had been populated: Lino, Quiel, Bajo Mono, Los Naranjos, and Bajo Boquete, which now is the districts’ town center. I Some of its landmarks include nearby Volcan Baru, a dormant volcano and at some 3,475 meters, the tallest point of land in Panama. Hikers enjoy a relatively easy hikeike[Richard: This guy never hiked it!] hike up and over the volcano, along the Sendero de los Quetzals, which runs from Boquete up to Cerro Punta and Volcan [Richard: Or vice versa, and it is easier coming from Cerro Punta to Boquete], on the other side of the volcano. The Caldera River runs through the town, a river that has shaped much of its form. Boquete is known for its coffee, judged to be the finest in the world. And the most expensive! Coffee is a lot like wine, similar flavor wheel, things like weather, cultivation, soil, the year, all making a big difference. Like you can buy a bottle of Merlot for $4 or $450 a bottle … same with coffee. In April 2018 a lot of Boquete’s famous Geisha coffee sold, at auction, for $601 a pound wholesale! 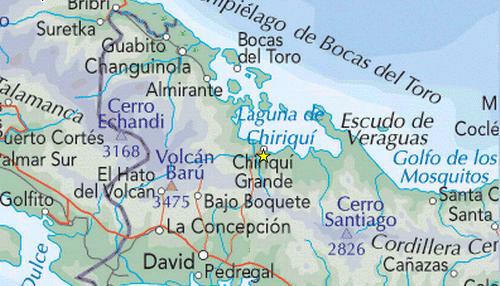 The district of Boquete has approximately 20,000 inhabitants. Boquete has long been an escape destination for people tired of the heat and humidity of the lowlands. Wealthy Panamanians have had homes here, and it is home to several former Presidents of Panama. It has always attracted foreign visitors with everyone from Teddy Roosevelt, Lindberg, the Shah of Iran and Richard Nixon having stayed in our historic hotel. Boquete has become the second home to many North American and European retirees with an estimated 14% of its population being of foreign origin. It is popular for tourists and backpackers as well. People are attracted by the comfortable climate, excellent potable water, and clean air, by the tranquility, incredible beauty of the surrounding mountains, and by Panama’s relatively low cost of living. For a small town we have some amazing restaurants. Restaurants come and go with great frequency, but the good ones remain. Celebrity Italian chef Davide Care’s are my favorites: Retrogusto, Butcher Chopped and Apizza. However, since I “eat out” on board luxury cruise ships when I’m working, my special treat when I’m home is to throw something together for dinner, and sit by the fire, in my grubbies, with my wife and dogs and a bottle of wine. Copa (Panamanian Airline), United, Delta and American all have flights from the US and Canada to Panama City. Spirit has direct flights from Fort Lauderdale at ungodly hours. Copa is a huge and growing airline with new planes, great service and a dominant presence in Panama City at Tocumen International Airport making Panama “The Hub of The Americas.” Coach is Copa is a lot like what you might remember from the past … comfortable seating, snacks and drinks, and even food … in coach. And Copa’s business or Executive Class is somewhere between business and first class on other airlines. Copa flies direct to Tampa, Orlando, Miami, Fort Lauderdale, Washington, New York, Boston, Chicago, Denver, Las Vegas, Los Angeles, Toronto and Montreal. Because Copa code shares with United, you have to be careful that your flights are actually operated by Copa or you may land up in the “friendly skies” (or is it the “unfriendly skies” of United) where you’ll be nickle and dimed like all the other carriers, and get a stale sandwich for dinner. KLM, Iberia, Air France, and United have flights from Europe. Air China flies to Bejing. And a Panama Dubai flight is still in the planning stage. It is best to arrive in Panama City in the early morning and to schedule departure flights in the late afternoon if possible. This will eliminate the need for an overnight hotel in Panama City. From Tocumen International in Panama City, Copa flies to David. 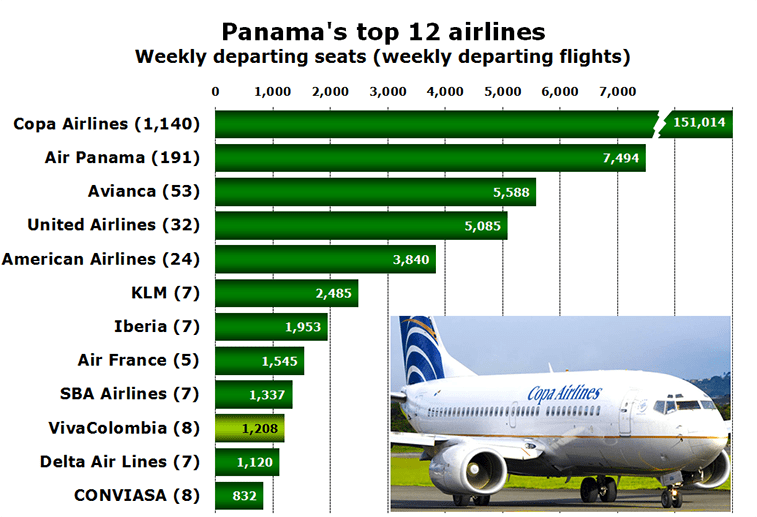 The flight only takes 40 minues or so, but it takes longer than that to board or disembark the plane in Panama City. But, unless you are visiting for the first time and really want to see some of Panama, flying is much easier than driving. You can take a bus for about 8 hours. I did that one time to see what it was like and I will never do it again, although I know people who do it frequently and don’t mind. From David Airport it’s a $35 cab ride from David airport to Boquete (again, arrange fare first), or just rent a car. All of the major car companies now have outlets at the David airport. 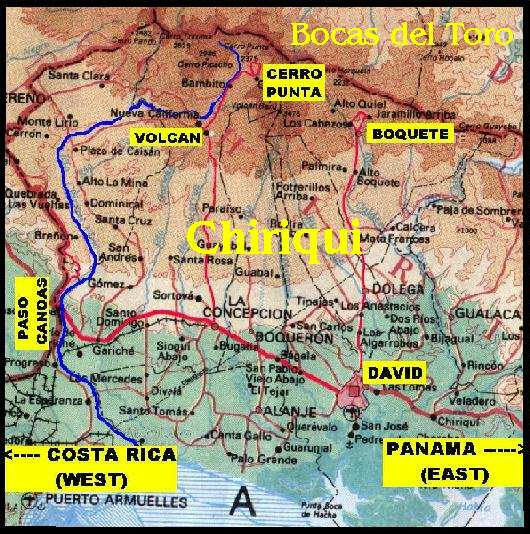 The Pan American Highway from Panama City to David, and thence to Boquete takes 6-7 hours and while not an Interstate, isn’t a bad highway. and is four lanes most of the way. Santiago is the half-way point and there is a Mc Donald’s and Kentucky Fried Chicken which the locals use as rest stops because they have nice bathrooms (generally with toilet paper). (Hint: Always travel with a small roll of toilet paper tucked away.) There is a cute Mexican-themed hotel there as well as a brand-new hotel called Myknos. Getting out of Panama City will be your only major challenge. Your goal is to drive THROUGH the city without getting lost. Before leaving the airport get detailed directions. Driving in Panama City is horrendous (that from an ex-New Yorker, ex-Californian!) and it is easy to go in circles. It’s really worth it to hire a taxi just to show you the way. There is always construction going on all over Panama City which just makes things worse. Frankly, I’d spend some time seeing Panama City, using Uber, taxis, or the new Metro [35 cents a ride! Such a deal!] to get around. There is a Hop On Hop Off bus in Panama City that is a convenient way to tour the city. Rental cars are also available at the airport in David, if you choose to fly to David. Given the state of construction in Panama City that would be my recommendation. Good maps are essential but hard to find in local bookstores. 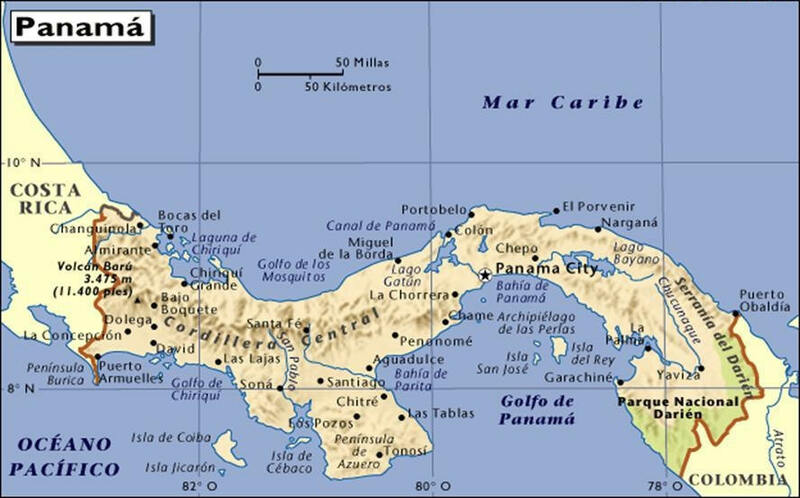 The National Geographic Panama map map is well-worth it and if you’re thinking about moving to Panama or just visiting it is a good investment. Let me say that Panamanians as a whole are among the most polite, gracious people on earth … until they get behind the wheel! Then they turn into the most self-centered, rude, aggressive drivers on the planet and make up their own rules as they go. It’s a $35 cab ride from David airport to Boquete (again, arrange fare first), or just rent a car. All of the major car companies now have outlets at the David airport. If you want to see a little of Panama City you can hire a taxi driver and you should be able to negotiate (of course in advance!) for about $20-25 an hour. Many locals do just that when they go to Panama City to conduct business to avoid the hassles of driving in Panama City. If you have a day you can take a never-to-be forgotten trip deep into the jungle to an Embera Indian village. Embera Village Tours offers a guided tour from Panama City that includes transportation from your hotel, ride by dug out canoe to the village, lunch, and commentary by a knowledgeable guide. Cost runs from $90-$190 per person, depending on the number of participants. ($190 is for a solo tour.) On our most recent trip we saw amazing birds, turtles, even a monkey and a huge alligator! The Embera have spectacular baskets and carvings that they offer for sale at the village. 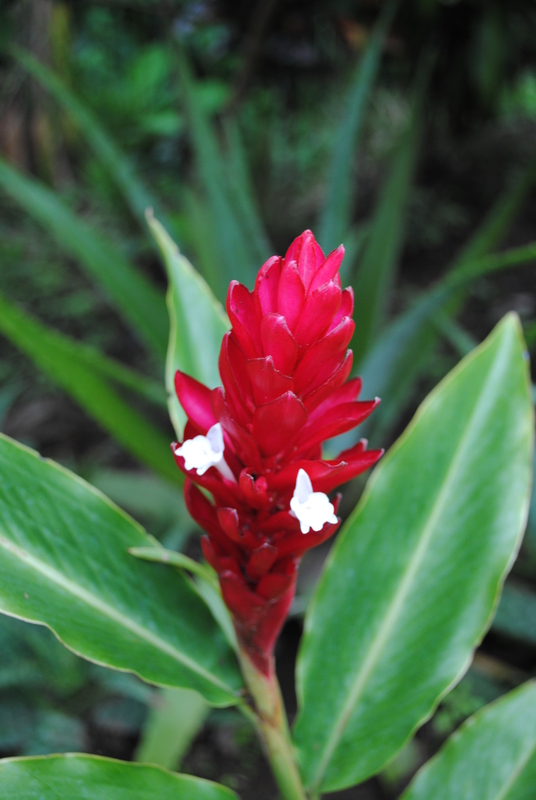 You will be amazed to learn of the many plants the Embera use for natural healing and to hear the stories of modern pharmaceutical companies who have visited to learn the secrets of jungle plants. There are whale watching tours in season and year round dolphin and snorkel trips to the Pearl Islands from Panama City. What is there to do in Boquete for tourists? 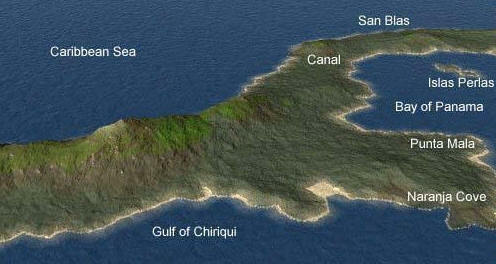 Chiriqui and Boquete are travel destinations not just for foreigners, but for Panamanians as well. 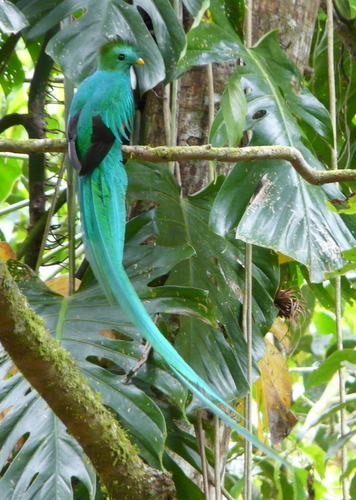 There is river rafting, coffee tours, mountain tours, rock climbing, horseback riding, ATV rentals, bike and scooter rentals, zip lining at Boquete Tree Trek, hiking and bird watching tours. You’ll find several offices on Avenida Central offering a wide variety of tours. Property Tours & Seminars are a big business! You may find them helpful, particularly if you are hesitant to visit an area for the first time. However, take everything with a grain of salt. These are generally expensive, far more expensive than hiring us to show you Chiriqui, and you are a “captive audience”. So, if you want to spend your money, fine, just go it with eyes wide open. It’s not quite as bad as, but a little like, time share tours. The Panama Relocation Tour is designed to give you an overview of life in Panama, to cover practical things like visas, bank accounts, shopping, and give you the opportunity to meet real expats living in Panama. It is not about selling you real estate, but about giving you an overview of possible areas of the country where you might want to live and helping you understand how things work. The operator, Jackie Lange, a friend who read my book before moving to Panama and starting her tour company, is big on renting, not buying, but then she is in the rental business. But her tour is the most honest and helpful that I know of.